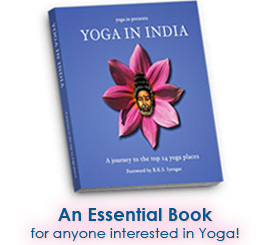 ﻿ Yoga Instruction Online - buyer beware! Yoga instruction is no longer limited to the classroom, thanks to the internet, which has sure opened up a whole new realm of possibilities for yoga. Unfortunately, it has opened up a whole new can of worms too! Although the web has created a lot of opportunities for learning yoga, it has also been a big contributor to the further degradation of this profound science. This cut-and-paste virtual world makes it easy for anybody with a computer and some research and design skills to easily put forth a credible looking yoga presence online. Whether they really know anything about yoga … or at least as much as they want you to believe, is another more distressing matter though. The bottom line about yoga instruction online is, Buyer Beware! So, Can you really Learn Yoga Online? That question like asking “Is running good for you?” The answer depends on a lot of factors. If you’re being chased by a mad bull then yes, running is good for you. If you’re a diabetic with heart disease wanting to get some exercise, then no, it’s probably not. Suffice to say, what makes for good yoga instruction online is the same thing that makes for good yoga instruction in the living, breathing world … having a teacher that is truly qualified (another hot topic). Those of you who know me and have followed my work and my writings on the subject of yoga know that I am not often impressed by the general quality of yoga teachers out there today. There are some great ones around, I do agree, but for the most part, the education and experience level of the average yoga teacher (certified and registered or not) is well below the standards of what I personally would consider to be “qualified” to teach yoga. That may be a little easier to assess in person than it is from a well-polished website or professionally edited Youtube videos. At least live, in person, information can’t be copied and pasted, flaws can’t be edited out, and teachers need to demonstrate without a script, just what yogic living really is all about. … And as the BHAGAVAD GITA cautions, in Kali Yuga, our present world age, great speakers are often mistaken for the wise.